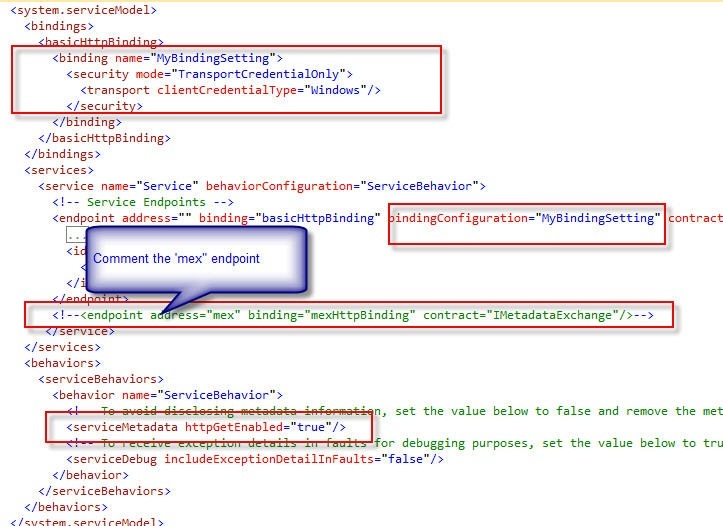 This article explains about the creating the WCF service with Windows Authentication enabled. Note: If Metadata Exchange Endpoint is enabled in service configuration , you will get below error. Make sure it is commented. 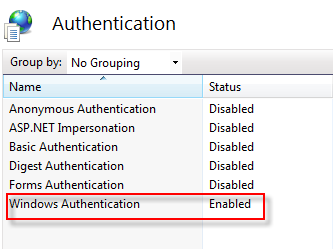 If Client and Service configuration is not properly configured with “Windows Authentication”, you will get below error. Make sure both are using same config settings. The HTTP request is unauthorized with client authentication scheme 'Anonymous'. The authentication header received from the server was 'Negotiate,NTLM'.